THE MODRN SHAKER RANGE OF CABINET FURNITURE IS MADE FROM QUALITY SELECTED OAK. THE WHOLE RANGE IS MADE FROM 100% REAL OAK; NO VENEER FOIL IS USED IN THIS RANGE. 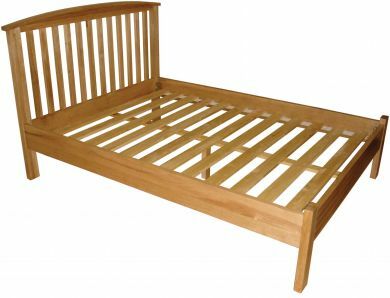 THIS ITEM FEATURES - 100% SOLID OAK, BED LOCK MECHANISM & ROLL OUT SLATS. FREE DELIVERY WITHIN ENGLAND AND WALES. FOR SCOTLAND PLEASE CALL 01492 642224. WE HAVE "BETTER THAN THE NET" OFFERS IN STORE. PLEASE CALL 01492 642224 FOR OUR FULL OFFER DETAILS.